Staff, Advisors and Board of directors -- the people who make our organization so successful. Tanya Weaver joined American Foundation for Children with AIDS (AFCA) in 2005. In addition to directing AFCA’s day-to-day activities, Tanya frequently speaks about AFCA and AIDS to students, community organizations and religious organizations. In 2007, Tanya created and held the first Climb Up so Kids Can Grow Up, an international series of outdoor events that raises funds for AFCA. She has spent much of her life abroad involved in international development. Prior to joining AFCA, Tanya worked in Afghanistan as a Project Supervisor and later as Interim Country Director for Shelter for Life International, a global organization that provides assistance building homes and other shelters for those in need. Previously, Tanya worked with Habitat for Humanity International in Romania, Portugal, Kyrgyzstan, Hungary and Russia. 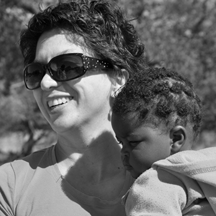 Tanya’s involvement with international development began early in her life. Raised in Colombia, she worked in orphanages in Colombia, Brazil and Jamaica during college summer breaks, further broadening her world view. 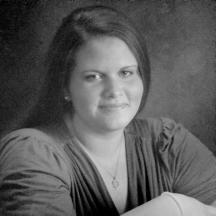 Tanya has a Masters in Art Therapy from the University of Illinois at Chicago. She currently resides in Harrisburg, PA with her husband Eric, her daughter Julia and her son Aiden. Michelle started in the construction field right out of high school. She enjoyed a 25 year career in accounting, human resources and office management. In addition to office management, Michelle loved guiding homeowners through the selection process in building their dream home. The housing economy sent her searching for a new adventure, which brought her to us. Michelle and her husband, Ron, have been married for 12 years and live in Lebanon, PA. They have been blessed with a daughter, Megan, who is 8 years old. 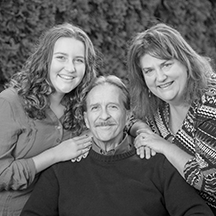 Michelle and her family are active members of Grace United Church of Christ, where Michelle serves as a deacon. Alyson Lawrence grew up in northern New Jersey. She is a graphic design major, photography minor at Susquehanna University in Selinsgrove, PA. Aside from studying and enjoying art and design, she is also involved in Kappa Delta Sorority, Catholic Campus Ministry, and the Women’s Rugby Club at Susquehanna. She is honored to be working with AFCA as a graphic design volunteer, and happy that her designs are going to such a good cause. For the past few years, Betsy has dedicated herself to helping AFCA’s children through managing the warehouse where medical supplies are sorted, packaged, inventories, and shipped to our partner hospitals and clinics in Africa. Without her brilliant and “cool as the other sie of the pillow” leadership, AFCA’s warehouse would not run as efficiently as it does. Betsy holds a Bachelor of Science from West Virginia University and lives in Lebanon, PA with her husband, Patrick, and their 5 children. Jackie has always been an obsessive creator and communicator. Growing up in Wisconsin and graduating from UW-Madison with a Fine Arts degree, she has spent the last 15 years honing skills as a Designer and Art Director working with a myriad of clients. But what really drives her is to share stories and bridge connections through thoughtful communication. She’s honored to work with AFCA’s staff and children across the globe to share their important story. Jackie lives in Neenah, WI with her husband and son in a little mid century modern house that they built themselves. A hoarder of hobbies. Nose often in a book. Coffee mug often in hand. Totally crazy about kids and animals. Lover of laughter, people with passion, and connecting at a deep level. 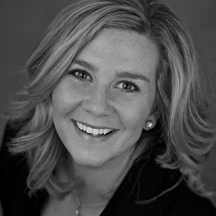 Stephanie Watkins became a part of the Board of Directors in 2013. Stephanie is a Government Relations Specialist with the Ridge Policy Group based in Harrisburg, Pennsylvania and Washington D.C where she represents clients in both the non-profit and corporate worlds. She works with government officials and agencies on a daily basis navigating the intricate world of policy and politics. Stephanie earned her BA in Political Science from St. Vincent College in Latrobe, Pennsylvania and her LLM in Public International Law from the University of Kent, United Kingdom. Stephanie and her husband, Kip, currently reside in Harrisburg, Pennsylvania. Professor Bill Garbarino is a full time faculty member at Algonquin College in Ottawa, Ontario, Canada. Since 2004 Bill has also been the Program Coordinator for the Business Marketing diploma, and 2 business certificate programs. Prior to joining Algonquin College in 2003 Bill enjoyed a 28 year career in Sales & Marketing. Bill’s Management roles included Regional Sales Manager, Long Distance and Telemarketing Consulting Support Director, and Vice President of Bell Canada’s E-Marketing & Distribution channels unit called Bell Direct™. Bill finished up his management career from 2000-2003 at BCE Emergis as Senior Vice President of the Product Management and Product Marketing units. 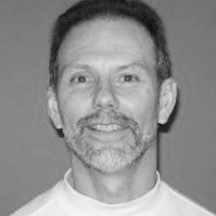 Bill is an avid athlete and has coached youth and adults in several sport disciplines. He is married for nearly 30 years with 2 adult sons. Bill actively supports many charities including sponsoring Plan International Foster Children for nearly 30 years, cancer fundraising and awareness events, and AIDS related non-profit organizations. Since 2010 Bill has been an advisory board member for the American Foundation for Children with AIDS (AFCA) and its Canadian affiliate, CFCA. Bill is the currently the President for AFCA. 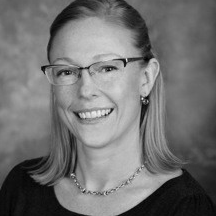 Karin is a Licensed Clinical Social Worker in the state of Illinois. Her masters degree includes a focus in international and program development. Karin completed her graduate thesis in Cape Town, South Africa. It was this experience that she attributes her passion for providing tangible resources and solitions for those in need. Karin’s work has included community mental health advocate, violence prevention trainer, private practice clinician, trainer for educators on topics from bullying prevention to teen dating violence, as well as media expert resource. She is currently working as an educator on the topics of mental health, and stress management for the Cook County Departments of Corrections. She lives in Chicago with her husband and two young children. What free time she has is spent adventuring with her family to new places and capturing it all with her love of photography. 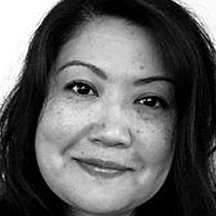 Karin is dedicated to cultivating change through empathy, insight and tangible strategies. Renee Gabbett is a Chef and Culinary School Consultant. Renee started her career working as a Private Chef in New York and Chicago. As much as she She enjoyed this chapter of her life, upon starting a family, she felt a need to share her knowledge as a chef with others. Wanting to provide needed culinary guidance for people in their busy lives, she pursued instructing and ran a corporate cooking school, which ultimately shaped her career as a Chef Instructor. The journey led to teaching others about healthy cooking and living naturally through simple techniques and education. She believes we can all eat so well with a few simple tips and the idea that “you are what eat”. 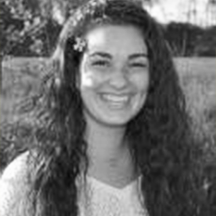 Emily currently lives in Middletown, Pa. She has a masters degree in social work and currently works in the fields of Autism and behavior support. Emily has found a passion for international service work. She has traveled to several different countries throughout the world, with her main passion being in Africa.